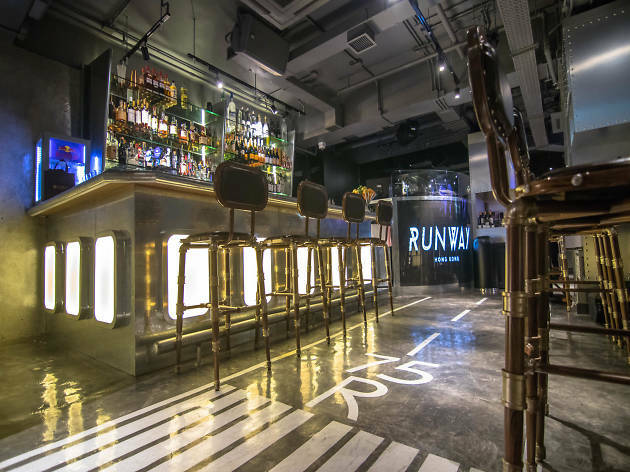 Air travel is often the worst part of every holiday and Wyndham Street’s new airline-themed bar Runway is more Aeroflot than Cathay first class. An uninspired concept from the get go — are you ever likely to turn to your pal and say, “Here, remember that great place when it was like we were in a plane?” — sticking a couple of Taobao-esque pilot and stewardess outfits on your staff does little to add to the illusion and elevate the bar. Since it’s negroni week, we order Runway’s version of a chocolate negroni ($52.80), which needed to be sweeter. The addition of a dark chocolate liquor to a regular negroni simply added an excessive extra level of boozy bitterness. We asked if we could swap it for a regular negroni and, kindly enough, the staff were happy to oblige. The regular version tasted fine as negronis go. Next up we try a Moscow Mule (also a very reasonable $52.80), which was perfectly acceptable if maybe a little over zealous on the lime. 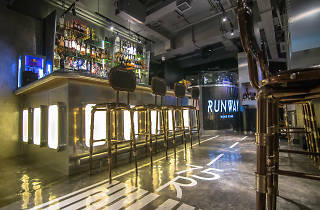 End of the day, Runway’s drinks and service aren’t the issue, as both are solid. The problem is the entire idea, which never even takes off.